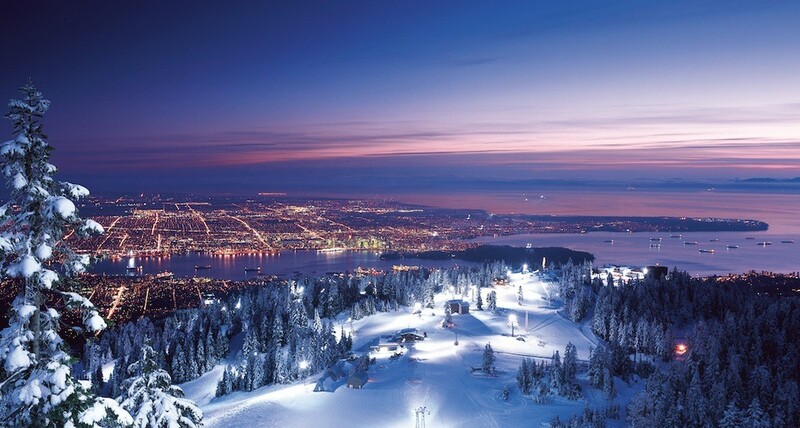 The hills are made for thrills at Grouse Mountain. Try their most famous run -The Cut. Be sure to check out the spectacular vistas. They have two high-speed detachable quads. Riders can catch air in the Terrain Park through a series of hits. You find the locals night skiing or snowboarding because the views are fantastic. A Magic Carpet lift has been installed to help learners on the beginner terrain. Ski shop, day lodge, gift shops, ski rental, repair, lessons, and childcare for ages 4 to 6. Hospital nearby. Seventy-five percent snowmaking capability and the only North Shore mountain with snowmaking equipment.